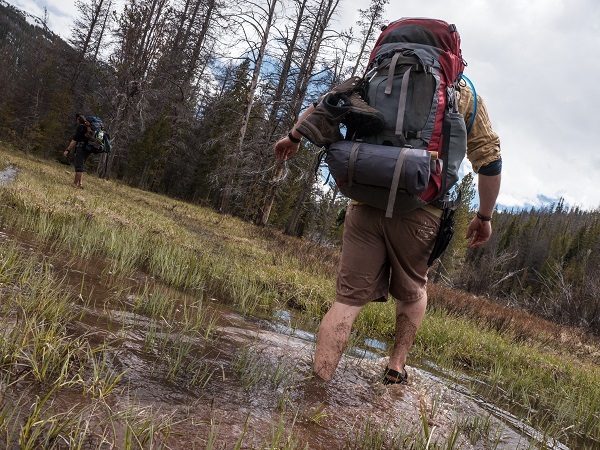 Last May through October, in the high peaks of the Uinta Mountains and Bear River Range in northeastern Utah, outdoor adventurists and trail runners marathoned through thick forests and lush wetlands to inspect 30 motion-activated cameras in remote areas. Their mission: to collect data on the presence or absence of wolverine, Canada lynx and gray wolf in the region. 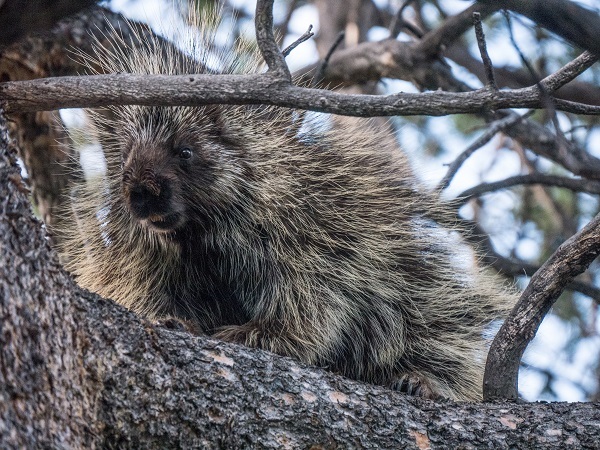 In 2014, the Utah Department of Wildlife Resources recorded footage of a wolverine in the area, but it was unclear whether this was a transient or resident individual. Thanks to funding from the National Forest Foundation, the Adventurers and Scientists for Conservation were equipped to find out. 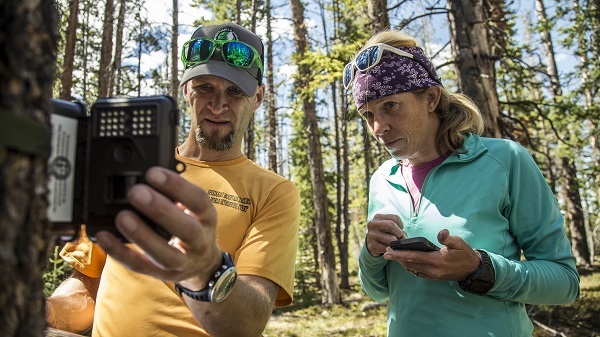 In partnership with the U.S. Forest Service, Adventurers and Scientists for Conservation (ASC) recruited and trained 34 athletic, adventure volunteers to navigate through 800 square miles of rugged terrain and inspect camera stations in remote locations for footage of wildlife. For many, this meant conducting round-trip hikes or trail runs of between 15 and 40 miles on a weekend to reach their assigned points. According to Mike Kautz, Program Director for ASC, the remoteness of these locations was met with the challenges of the weather. In the early stages of the project, setting up the cameras meant navigating isothermal snow at higher elevations and crossing high water at lower elevations. "Impassible roads turned already long hikes into 20+ mile slogs," Kautz said. These recruited volunteers, however, were adventurists who could rise to the occasion and were excited to use their outdoor skills towards a greater goal of finding elusive wildlife in the Uinta Mountains. The adventure volunteers were also selected for their storytelling abilities and their willingness to spread the word about this important place. “We encouraged volunteers to share the photos, videos and essays they had contributed with their social networks,” said Kautz. Many of the volunteers for this project lived in the adjacent Salt Lake City and became local educators, helping to connect urbanites to the unique wild area in their backyards. The project then earned media attention from Salt Lake City Weekly, Al-Jazeera America and National Geographic which raised further awareness of the Uinta Mountains and the monitoring project. The project enhanced the efforts of the U.S. Forest Service (USFS) as well. 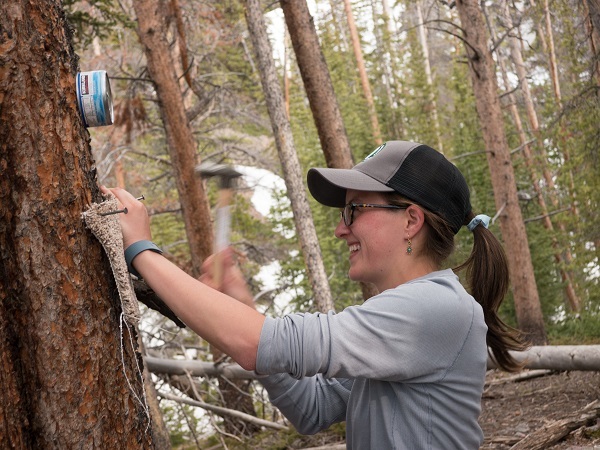 "Collaboration with citizen science is our way to engage the public in Uinta-Wasatch-Cache National Forest’s responsibility to manage habitat for wildlife on the landscape," said Traci Allen, the USFS's lead biologist on the project. As explained on ASC's website, the partnership between ASC and USFS was expected to expand the USFS's capacity six-fold, through providing volunteer and financial resources. In the assembly of 20,000 camera images and video clips that this project collected over 3,000 camera nights, did they find signs of the rare carnivores they were looking for? Sadly, no, but what they did find was a snapshot of the extreme diversity that exists in the Uinta Mountains. Video of pine marten, elk, bear and porcupine, among a myriad of other species, prove that this area is rich with wildlife. As human use of the forest increases and climate changes, the project captures the story of the Uinta Mountains as it is now, so that public lands partners can promote the preservation of its habitat and its wildlife for future generations. The "Citizen Science Rare Carnivore Monitoring in the Uinta-Wasatch-Cache National Forest" project was selected as a recipient of this year’s Public Lands Partners Award and the Adventurers and Scientists for Conservation and the U.S. Forest Service were both recognized for their collaborative efforts to execute this project through sharing funds, volunteer resources and unique skill-sets. To learn more about the Adventurers and Scientists for Conservation, a nonprofit that works to engage the outdoor community to collect physical data that helps address environmental and conservation issues, find them at www.adventurescience.org. Our monthly Member Spotlight articles highlight the success of Public Lands Alliance nonprofit members. If you would like to share your organization's story or if you would like to recommend a member for consideration, contact Marketing and Communications Manager Amanda Keith at amanda@publiclandsalliance.org or 301-946-9475 ext. 223.